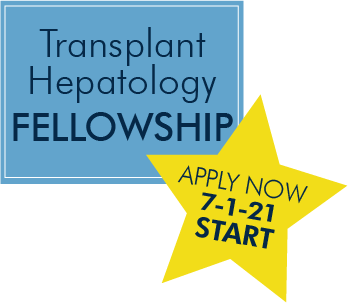 The Transplant Hepatology Fellowship is a 1-year training program for candidates who have already completed a 3-year ABIM-certified Gastroenterology fellowship. The objective of the Transplant Hepatology Fellowship is to provide outstanding clinical and research training so that candidates become independent hepatology consultants, qualify for UNOS certification as a transplant hepatologist, and meet all criteria for the ABIM Certificate of Added Qualification (CAQ) in transplant hepatology. Upon completion of the program, the fellow will be competent in evaluating and managing liver transplant candidates with acute and chronic liver failure and in evaluating and managing transplant recipients during the perioperative and posttransplant period. The fellow will also become competent in the care of patients with a variety of acute and chronic liver diseases including the management of acute liver failure, complications of portal hypertension, and liver cancer. The University of Michigan offers highly competitive salaries and tremendous benefits to our residents and fellows. An overview of salary, benefits, and employment eligibility is available on the GME Office website, under Prospective Residents/Fellows. Per ACGME requirements, Transplant Hepatology Fellowship candidates are required to have completed a 3-year categorical ABIM-certified Gastroenterology Fellowship prior to this additional year of advanced training. About 80% of the Transplant Hepatology Fellowship will be devoted to clinical activities. Rotations offered during the 1-year fellowship include inpatient hepatology ward and consultation services, outpatient transplant hepatology and general hepatology clinics, liver pathology, liver radiology, and pediatric hepatology. In the multidisciplinary liver transplant clinics, the Transplant Hepatology fellow will become familiar with the evaluation of patients with advanced liver disease, including the management of ascites, encephalopathy, variceal bleeding, and treatment options for liver cancer. The Transplant Hepatology fellow will see patients in the clinic and follow them preoperatively, perioperatively, and postoperatively under the supervision of Hepatology faculty. The toxicity of immunosuppressive medications as well as the management of rejection and vascular, biliary, and infectious complications after transplantation will be emphasized. In addition, fellows will be exposed to transplant immunology, pediatric liver transplantation, living donor liver transplantation, and research opportunities in transplant hepatology.  The University of Michigan Transplant Hepatology program supports its educational mission with a variety of educational activities. Liver conferences that are held on a weekly basis during the academic year include: Liver Pathology, Clinical Case Presentations, and Journal Club. In addition, multidisciplinary liver transplant patient evaluation conferences are held weekly. Multidisciplinary transplant conferences are held twice monthly, including the Morbidity and Mortality Conference, as well as Transplant Grand Rounds. In addition, many of the GI and Hepatology Division Grand Rounds presentations are dedicated to liver disease topics. Both internal and external speakers present at these conferences with about 12 visiting professors per year. The Transplant Hepatology fellow will be expected to attend and participate in the monthly Hepatology Research Conference and attend the American Association for the Study of Liver Diseases annual meeting.